Home Builder Bites THE CONSULTANT: What’s the ideal unit mix for a new condo? Since launching Bullpen Research & Consulting in January, I’ve spent the bulk of my time working on housing demand and pricing studies for developers and land owners. Part of the mandate for those assignments is determining the ideal unit mix, unit sizes and prices based on current or future market conditions. 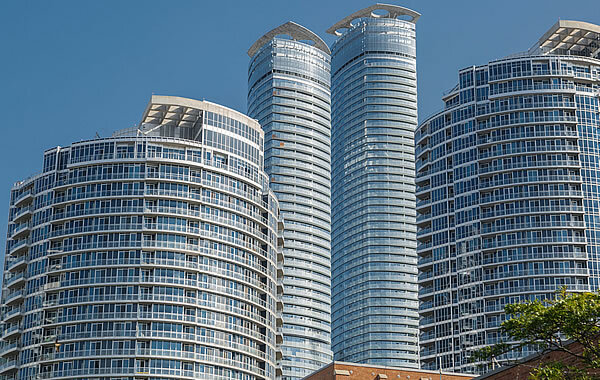 The problem I’ve encountered is projects have sold so quickly, and brokerages have received so many worksheets from prospective buyers when a new condo project hits the market, it’s hard to determine where demand is under-served. When I first started tracking the new condo market in Toronto in 2007, developers had a much more equally distributed suite mix, often 50 per cent studios, one-bedroom and one-bedroom plus dens, and 50 per cent two-bedroom, two-bedroom plus den, three-bedroom/penthouse units. The smaller suites tended to sell faster, but there were concerns about how deep the “small unit” market was, the higher costs associated with building tiny units, and the additional expense of a higher parking requirement. All these factors were taken into consideration when programming a condo suite mix. In late 2008 and into 2009, the global financial crisis wreaked havoc on the financial markets, credit dried up, and construction lenders were requiring more than 60 per cent of the units to be sold prior to financing a project, some increased the requirement 80 per cent to 90 per cent. Other lenders concentrated on the percentage of revenue, instead of the percentage of units, so developers no longer wanted to tie up too much square footage in larger suites that only sold to end-users at completion. In addition to the financing constraint, municipalities started to ease parking requirements at this time as well. The result was projects with much higher shares of one-bedroom and one-bedroom-plus-den units, and many more studios. After about five years of shrinking unit sizes, we’ve seen more two-bedroom and two-bedroom plus den suites in new projects over the past two years. 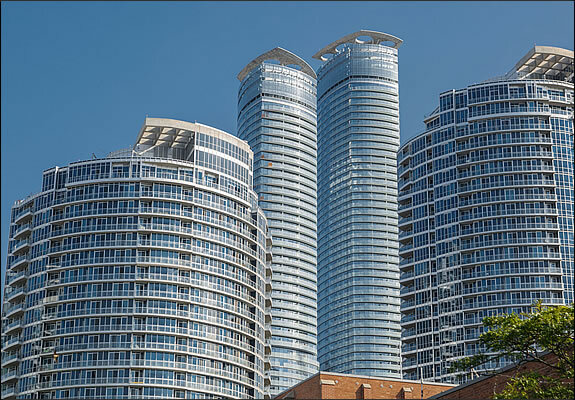 I asked realtor Amit Bhandari of Talk Condo about what his investors are looking for. He tells me first-time investors concentrate on the end selling price and prefer small suites with lower price tags. He adds that the more seasoned investors with bigger budgets recognize that square footage is becoming more and more of a premium, and because suite sizes are shrinking they look more toward the two-bedroom/two-bathroom suites that will be under-supplied in the future. Two-bedroom condos remain the most popular in terms of online traffic, according to a top new home property portal. Matt Young, vice president of Capital Developments, notes that their 615-square-foot unit was extremely popular at their Yonge and Eglinton sites. I recently pulled data on every unit that has been resold in an Entertainment District condo that was completed in 2015. The best performing units were studios! With an average size of just 335 square feet, these suites sold for $60,000 more on average in the resale market in comparison to their pre-construction purchase price, rising from $740 per-square-foot to $920 per-square-foot. With less frenzy in the new condo market in 2018, and rising costs via development charges, construction labour and higher interest rates, maximizing revenue on your project, while maintaining a steady pace of absorption, will be a little more challenging this year.